You asked for it and I’m delivering! 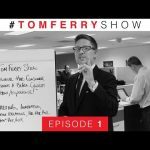 I’m excited to announce a brand new 3 part series on the #TomFerryShow! It is all about overcoming your fears on the phone and focusing on what gets you results! This series is going to be great, and I know it has the power to help you reach the next level. 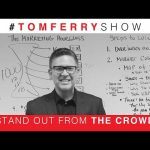 The #TomFerryShow is here to help real estate professionals stay ahead of the curve to always be innovating, changing, adjusting, staying as relevant as possible with the very best tools, the right-now strategies, and the things that are working today for rock star agents! 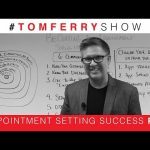 31 Responses to "Be An Appointment Setting Machine | #TomFerryShow Episode 73"
Tom, our mindset is our most powerful asset! Thanks for another great episode! What kind of head set is that? What do you recommend? I am a lean,efficient Listing Appointment Machine!! Yes, Coach! Of course this is amazing……… Your intelligent presentation….. is a great reminder of the basics!!!! Its the numbers Baby!!!! Thank You TOM! I prayed I should be with you in SUMMIT 2016. Las Vegas….. Nevada.89119. . Nice one.!!! Thank You, Tom. I am showing this video to my entire sales force at our Wednesday sales meeting, which will be very well attended. As a manager I want my agents to, of course, focus on appointments. 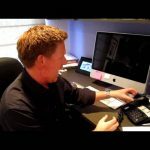 This is one of the best videos on appointments. Period. Keep them coming. Love the video! can you please give so more examples of powerful assumptive language, thanks! NICE! – Absolutely LOVE IT! – Assumptive closing works 9x out of 10! amazing , thank you Mr Ferry! Great Video Tom… You are the man. Dude I am new to the real estate industry and you are rocking my face off! As we met with the selling agents, my real estate agent said to me: “So what to you think of the house?” I replied: “it’s OK”. He laughed. Then they pushed the paperwork in front of me and I found myself signing and initialing 15 different sheets of it. There was no down payment so they gave me the key and I found myself a homeowner. Hi tom..can you help me? Thank you for showing my mistakes through this video. Also, I will now never use the words “So What do you think?” to my would be clients . great information!!!! Thank you Tom!! !